The University District Community Development Association, Inc. (UDCDA) has been awarded a grant through New York State Homes and Community Renewal’s (HCR) Buffalo Main Streets Initiative (BMSI). 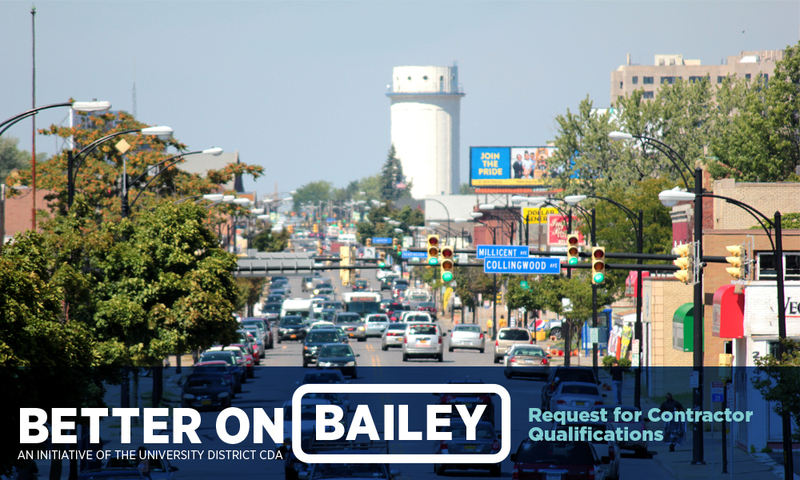 This grant allows us to assist multiple property owners on Bailey Avenue in Buffalo’s University District through the ‘Better on Bailey’ initiative. The UDCDA is assembling a list of general contractors interested in receiving bid opportunities to work with property owners on building renovations. Renovation work includes but is not limited to health and safety improvements, facade work, brick pointing, roofing, installation of doors and windows, and interior renovations. Contractors must be able to perform work in compliance with applicable standards, to provide required insurance, licenses & references.